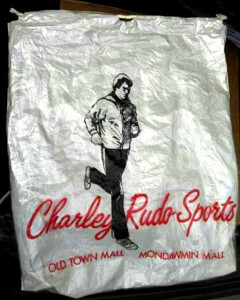 Milkcrate Athletics is one of the great indie brands in street fashion. Created by designer, DJ, and music producer Aaron LaCrate. 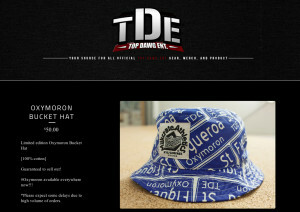 Get 3 Milkcrate Hats for $ 60.00 Limited Edition / While supplies last! 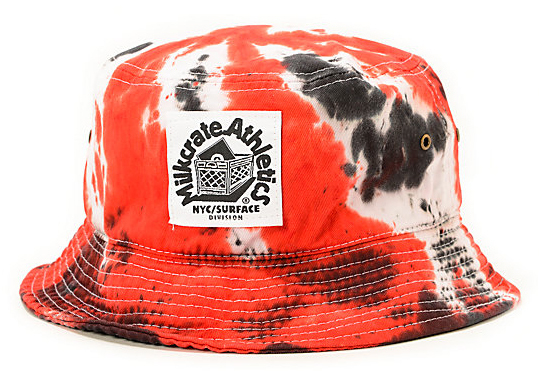 The bucket that matches your favorite Jordans. Don't sleep - supplies limited. Cop a body board and bust a sick 50 50 down the railing. 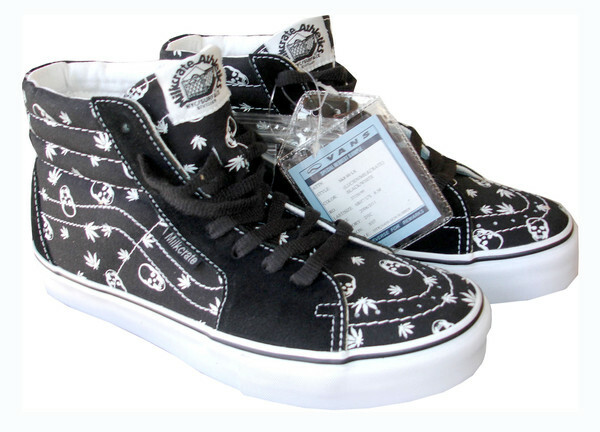 The 10 year anniversary of Vans x Milkcrate. 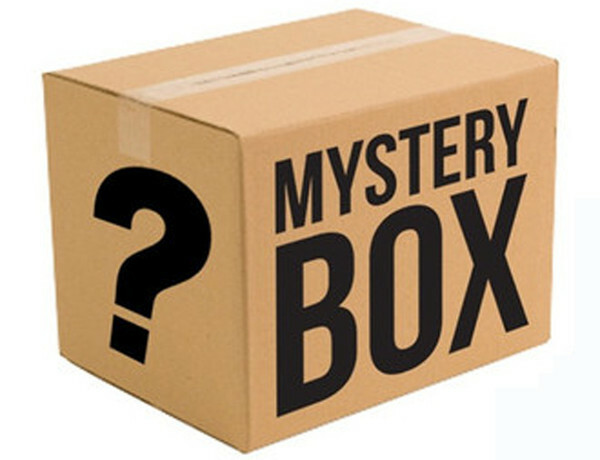 The sick skull & cross bones pattern predates everyone else. Super limited. Aaron LaCrate & Milkcrate have produced campaigns, events, collabo’s and must have apparel with Jay-Z, Eminem, Kanye West, Gorillaz, Fela Kuti, Beats by Dre, Vans, New Balance, Rakim, Madonna, Lily Allen and Lana Del Rey just to name a few. 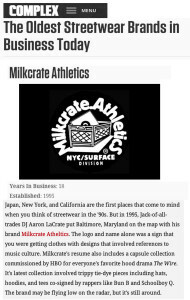 Well before his Milkcrate Athletics brand became a street wear mainstay, a 10 year old Aaron LaCrate started the first skateboard shop in Baltimore. The young entrepreneur was building his brand from the ground up combining the best elements of fashion, music, and culture. 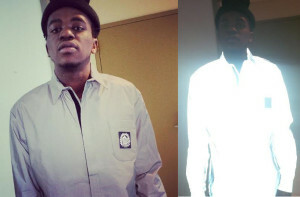 Aaron was selling mix tapes, booking events, promoting his branded clothing while interning at Roc-A-Fella records where he helped promote Jay Z’s classic Reasonable Doubt album. Since then, he’s evolved into a well-rounded content creator collaborating with everyone from Vans, New Balance, Beats by Dre. 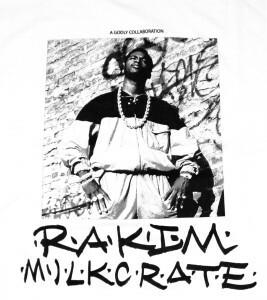 Milkcrate Athletics is a pioneering brand utilizing the power of music, identity, culture and experience. 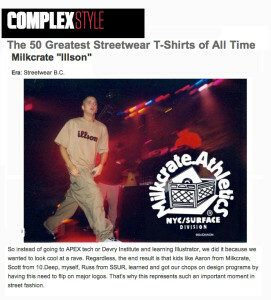 Thanks to the team @RollingStone @milkcratenyc sends our love for all the support over the years. looking forward to a great 2015 ! Back to the bass. 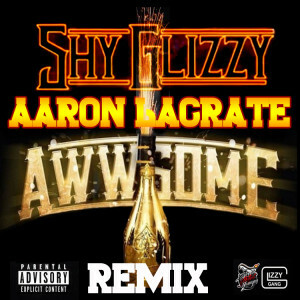 . . Aaron LaCrate jumps back in the studio for more of his club smashing remixs… Peace to Shy Glizzy, Glizzy Gang for this . .
Dope new ruff, rugged and raw Aaron LaCrate to tear the club up official 2014 mixtape. .